Captain Clive Farrin bought his first fishing license and caught his first lobster when he was twelve years old. He was playing with a friend, tossing bricks back and forth high in the air, when a car passed underneath and one smashed the windshield. To pay for it, Clive worked as a sternman on a lobster boat; thus began a lifelong passion for lobstering and learning all he could about these remarkable coruscations. Captain Clive was born and raised in Boothbay Harbor, one of the best known boating and lobster fishing centers in New England. He lives in the same home where his parents once lived, next to his boat's dock and the processing plant where he once worked. On the hill above his house stands the Catholic church whose melodic chimes can be heard throughout the harbor. Clive says, "I tell everyone I live closer to God than anyone in town." God certainly gave Clive a wonderful gift...to be able to share an important part of Americana by having his guests experience, for themselves, his life's work. Captain Clive had a good mentor, as his father brought him along when he worked on a lobster smack and at lobster buying stands. By working in all aspects of lobster fishing since he was a youth, from his job at Boothbay Harbor Lobster and Crab Company to being a sternman on lobster boats, he was able to acquire a unique perspective in regard to the Maine lobster industry. Clive remembers when he worked for the processing plant, Boothbay Harbor Fish and Cold Storage...some of the fish was used by McDonald's for their fish sandwiches--and even sent to mink farms in the upper Midwest of the country. While teaching, he worked periodically for different fisheries, catching porgy. Even though Captain Clive took time off from lobstering to earn his Bachelor's Degree in 1984, and spent 28 years as a shop teacher in the Boothbay region, the lure of the sea and lobster fishing was always calling him. Today this engaging man, who slightly resembles Santa Claus with his white beard and twinkle in his eye, is on a similar mission...to delight and inform guests from around the world who accompany him on his lobster boat, the F/V Sea Swallow. 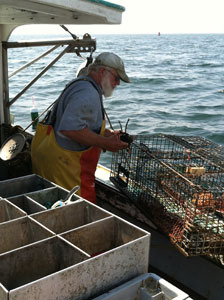 Captain Clive is considered one of the preempt authorities on lobster fishing in Maine. He shares his experiences and vast knowledge during his excursions and is an astute teacher, as he patiently explains everything from the feeding and breeding habits of lobsters to the importance of folklore in the lobster fishing community. In 1992 Captain Clive bought his 36' lobster boat from another fisherman. Another boat, which was lying in the tall grass, waiting to be chopped up into scrap by its owner, bore the name, Sea Swallow. That name had been around for many years, so Captain Clive wanted to resurrect it and arranged for his new boat's name on the stern to be replaced by Sea Swallow. 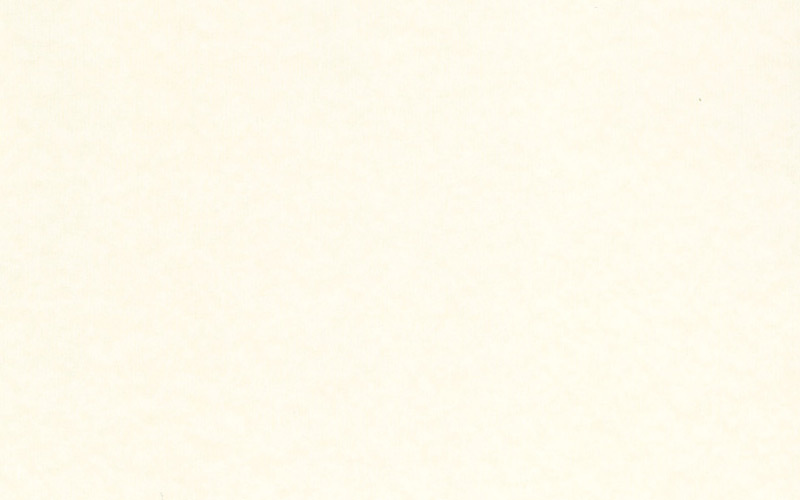 The humorous story related by Captain Clive about the changing of the name is a good one. Apparently, some boat owners don't easily accept name changes, even if the boat changes hands. Captain Clive and his sternman, Cage Zipperer, have not only navigated the ocean looking for lobsters, but also have taught thousands of people of all ages the ins and outs of working on an authentic lobster boat. The experience is hands-on. Captain Clive comments,"We particularly enjoy teaching children how to haul and unload traps, inspect and measure each lobster to make sure it is legal, and band and store them before moving onto the next lobster trap. I also explain the various laws intended to protect the Maine lobster industry. I want them to leave my boat having an appreciation for the work that goes into bringing a lobster from sea to table." His lessons are clear and concise. Captain Clive's guests learn that while lobstering demands hard work, it is a life deep-seated with tradition. There is solidarity among the tight-knit community of fisherman who have knowledge about, and great respect for, the sea. Fishermen like Captain Clive harvest the day's catch by hand from their traps, in the same manner as their fathers and grandfathers before them. To work as a lobsterman requires getting up early every day...they are on the water between 4 and 6AM, heading out to pull their traps. The design of the lobster traps hasn't changed much in the past one hundred years, other than they are now made with plastic-coated wire rather than wood. Captain Clive and his First Mate navigate the Sea Swallow through crowded waters to find the green and white buoys which mark their traps. Many lobstermen brand their buoys with a unique color scheme to match the colors of their boats. Each buoy is marked with a Maine-registered license number and is tethered to the trap by a rope. Working near the bow, the sternman, Cage Zipperer, snags the buoy with a gaff and loops the line onto the block, a mechanical winch that pulls the trap out of the sea. The lobster trap is guided onto the boat's gunnel and everyone gets the first look at what's inside. Rubber bands are slipped over claws of the keepers. Known as the king of crustaceans, lobster is a global delicacy with sweet and succulent firm white meat. The colder the waters in which the lobsters live, the better the flavor. There are other types of lobsters around the world with claws (European lobster, scampi, and crawfish) and lobsters without claws (rock lobster and slipper lobster.) They are available year-round and provide a huge industry in the coastal areas where they are found. The American, or Maine lobster, (Homarus Americanus), distinguished by two giant front claws filled with meat, is found in the northwest Atlantic Ocean, stretching from Labrador down to North Carolina. But the crustaceans are most plentiful in the Gulf of Maine, known for its rocky shores and snug harbors, which give the cold-water creatures plenty of spots in which to burrow and hide. 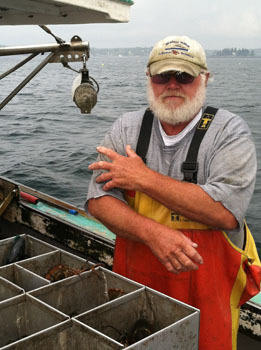 Captain Clive pointed out that, over several decades, Maine lobstermen have adopted strict conservation techniques to ensure there will always be enough lobster to catch. This includes limits on the size of lobster, the number of traps, and the kind of gear that fisherman can use. Lobsters must be measured with a special gauge to make sure they are "keepers." In Maine, the minimum legal size of a lobster--measured from the rear of the eye socket to the beginning of the tail--is 3 1/4 inches. The maximum size is 5 inches. 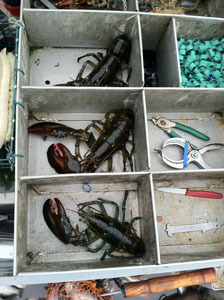 The "shorts" are thrown back, as are the oversize lobsters which are the best breeders. Females carrying eggs under their tails must also be released back into the ocean after they are marked to show they are breeders. They are given a little triangular "v-notch" in their flippers. Lobsterman who keep v-notched lobsters are subject to fines above $1,000. Captain Clive noted, "There was an article in the Bangor Daily News last year reporting a fine of $100,000 given to a lobsterman who was caught with 260 shorts and 100 v-notched lobsters on his boat." The American lobster didn't become popular until the mid-19th century, when New Yorkers and Bostonians developed a taste for it. Commercial lobster fisheries flourished after the development of the lobster smack, a custom-made boat with holding wells on the deck which keep the lobsters alive during transport. In early times, lobster was eaten primarily by indentured servants and lower class members of society in Maine, Massachusetts, and the Canadian Maritimes. Many servants insisted on having a caveat in their employment agreements that lobster would not be served to them more than twice a week. Lobster was also commonly served in prisons and the inmates were not happy about that. It's hard to believe that American lobster was, at one time, deemed worthy only of being used as fertilizer or fish bait. The lobster has come a long way since those times. As for the future? 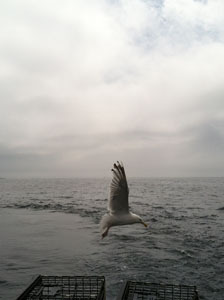 "Captain Clive concludes by saying, "I feel I am part of the ocean now--It is who I am. My ten-year-old grandson, Isaac Wyer, frequently accompanies me when I take out the Sea Swallow. I am pleased and proud that he and my other four grandchildren have an interest in this important part of American history, and that another generation of my family will hopefully carry on the lobstering tradition."